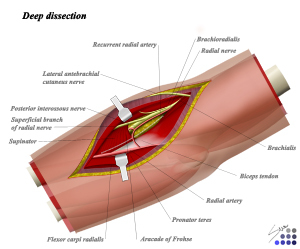 Develop brachiaradialis and PT interval distal to the division of the radial nerve. 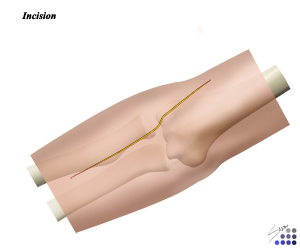 expose proximal radius by supinating the forearm to bring the supinator muscle anteriorly. 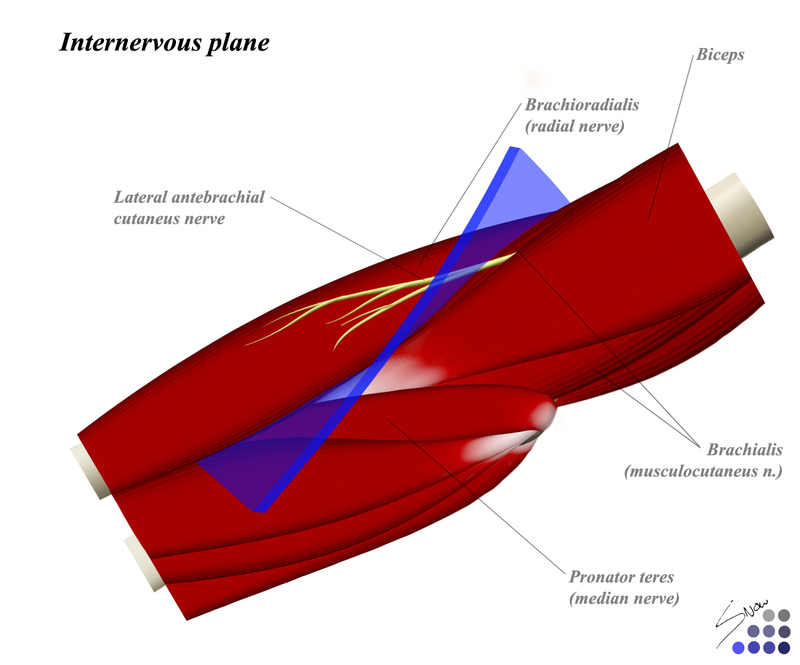 extends to the anterior approach to the radius between the planes of the brachioradialis and pronator teres muscles proximally, and the brachioradialis and flexor carpi radialis (median nerve) muscles distally. vulnerable as it winds around the neck of the radius within the substance of the supinator muscle. Incise the supinator muscle at its origin with forearm supinated to protect the nerve.